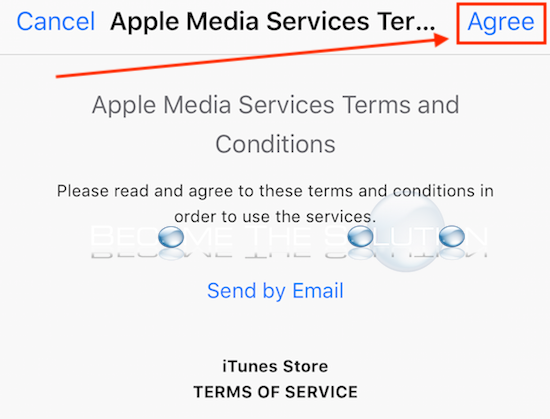 If you went to download or update an app from the iOS app store, you may have been prompted to accept the new Apple Media Terms & Conditions for the iTunes store. You will not be able to update or download new apps until you accept the new conditions. 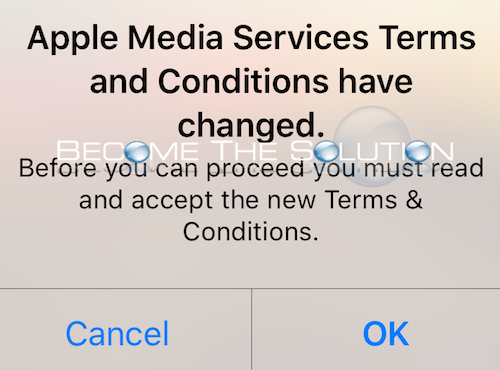 The next screen shows the Apple Terms & Conditions. Click Agree in the top right corner to accept them. can someone please explain what this means? I only use the game app to collect credits on my iphone when I'm away. Will I get charged for doing so now if I agree to something I don't understand of 16 pages of jargon? Someone help explain this! I don't play games on my phone only collect game credits. Thanks for sharing the relevant info on what is different in this version of The Agreement. It seems like they added some new components. It also seems like they are finally folding to pressure from the various governments regarding the privacy clause. The bit about potentially stopping our access due to offensive content is interesting because we are an extremely polarised society therefore what one person views as fine and acceptable another views as reprehensible and offensive. Not very Freedom of Speech friendly. Perhaps in the not too near future we will all live in fear over what we say or comment and when, just like those who live in communist countries. Meanwhile they continue to track everything we do and don’t do while on our device. Thanks for sharing the relevant info on what is different in this version of The Agreement. It seems like they added some new components. It also seems like they are finally folding to pressure from the various governments regarding the privacy clause. The bit about potentially stopping our access due to offensive content is interesting because we are an extremely polarised society therefore what one person views as fine and acceptable another views as reprehensible and offensive. Not very Freedom of Speech friendly. Perhaps in the not too near future we will all live in fear over what we say or comment and when, just like those who live in communist countries. Meanwhile they continue to track everything we do and don’t do while on our device. Interesting times. terrible article, by no means informative. Overall very bad job. Thanks for providing an update on this, I couldn’t find information on the new terms elsewhere. The full doc is 16 pages Long and there are quite a number of technical jargons... is there anything in particular to note?